We're counting down the days till the release of Dear Evan Hansen: The Novel—the new book adaptation of the Tony-winning best musical—arriving on bookshelves on October 9. 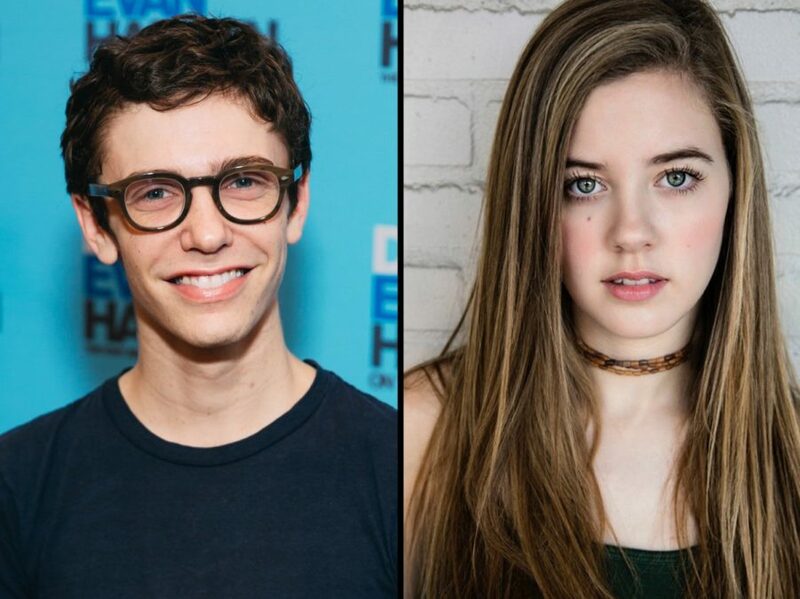 As previously announced, Dear Evan Hansen tour star Ben Levi Ross, current Broadway player Mallory Bechtel and Tony-nommed original cast member Mike Faist will narrate the novel's audiobook, which will also feature vocal selections from the musical. Broadway.com is excited to share an exclusive excerpt from the audiobook, featuring young stars Ross and Bechtel in a pivotal moment of the story. Listen below and be sure to purchase the print or audio edition of Dear Evan Hansen: The Novel next week. Additionally, make plans to see co-author Val Emmich and Tony winners Steven Levenson, Benj Pasek and Justin Paul on a star-packed nationwide book tour beginning next week. Moderators and guests will include James Corden and Shoshanna Bean (L.A.), NPR's Ari Shapiro (D.C.), Darren Criss (Ann Arbor) and Kendra Kassebaum (Seattle). An NYC launch event, set for October 8, will feature Alex Boniello, Will Roland, Barrett Wilbert Weed, Mykal Kilgore and Tony winner Rachel Bay Jones, along with Queer Eye's Tan France and Antoni Porowski.